The Pay with Square deal between Starbucks and Square that brought the service to more than 7,000 Starbucks locations was a pretty big deal. Last week. This week, PayPal and BitInstant responded in kind, and revealed their own respective partnerships with two major credit card companies in an effort to compete with Square's efforts. 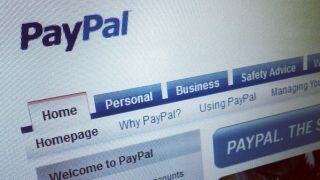 PayPal agreed to a deal with Discover that will now make the service accepted in more than seven million locations around the world. Likewise, BitInstant is in the final stages of negotiations with MasterCard to introduce a prepaid debit card fueled by Bitcoins that'll work anywhere that accepts MasterCard. PayPal's vice president of retail services Don Kingsborough offered his thoughts on why teaming with Discover was such an important step for the company. "The whole industry has been looking for a landmark that says that all of this is really happening," Kingsborough said. "This is an important deal for us, because it gets us to over seven million locations pretty seamlessly." Though consumers can currently use PayPal in more than 3,000 retail locations for stores like Home Depot and Abercrombie & Fitch, the partnership with Discover could drastically alter the retail landscape. There's also talk of PayPal offering loyalty programs, check-in capabilities and the ability to order online and pick up items in-store. Early next year, customers won't even need to carry a card, as PayPal users will be able to merely type in their phone numbers and pins to pay at accepted locations. Though BitInstant may not be as high profile as PayPal or Square, the company's new venture with MasterCard could help them make a bigger blip on consumers' radar. As BitInstant says in their statement about the new card, "Bringing legitimacy, ease of use, and familiarity to the revolutionary - though often misunderstood - Bitcoin technology is [our] primary goal." BitInstant's deal isn't a direct partnership with MasterCard, but rather a deal between the credit card company and BitInstant's partners. The pre-paid debit card will be available in about eight weeks, pending the agreement of formal negotiations with MasterCard. The BitInstant cards will not be anonymous like the regular virtual service however, but they will be a "highly convenient means for verified customers to spend Bitcoin value around the world." How consumers interact with point-of-sale is clearly changing, and there's an undeniable shift coming in the we pay for the things we want and need.